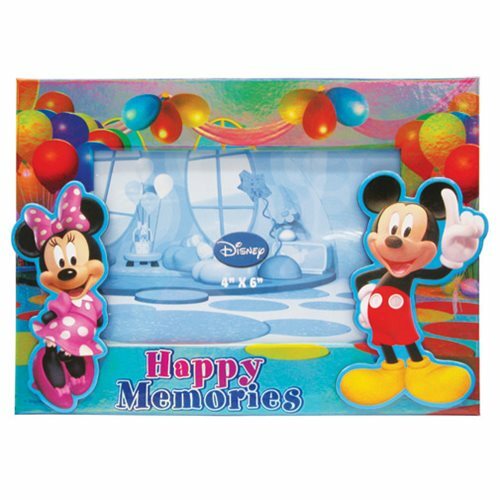 Invite Mickey and Minnie Mouse to your next celebration with this Mickey and Minnie Mouse Celebration Photo Holder! Cherish your favorite memories in this brightly colored photo frame. This frame measures about 8 1/2-inches long x 6-inches tall. Frame holds a 4-inch by 6-inch photo. Ages 13 and up.